Acrylic (Plexiglass) impact strength is significantly lower than polycarbonate and is subject to stress cracking, which is why when ice and snow sheets off your roof it often shatters the mass produced big box store covers. Polycarbonate is a virtually unbreakable resin that withstands massive force. That is why it is used in bulletproof window applications, eyeglasses, industrial guards, motorcycle and race car windshields. This is why we use it to make our window well covers. 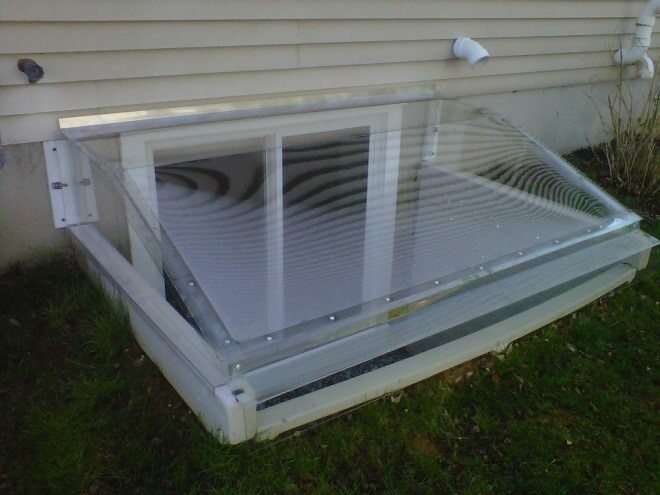 Another favorable factor with polycarbonate window well covers is their high resistance to heat and cold. These covers are ideal for use in any kind of harsh environment, where they last longer than other standard construction materials, due to the UV cap sheet we special order on our polycarbonate sheet. Polycarbonate is resistant to sunlight, rain, snow, and hail. These properties enable our covers to last in the outdoors for many years without showing signs of fading, yellowing or discoloration. Polycarbonate is so light that the polycarbonate covers are easy to remove for emergency exit. 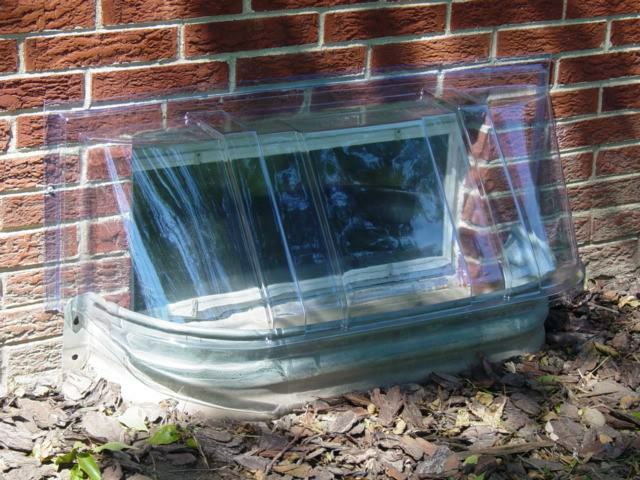 This allows our window well covers, no matter what the size, to be made to meet the strictest municipal egress codes. Please call us at 1-888-650-9355 to get your free estimate or email us at info@windowwellexperts.com.